Frozen Shoulder, or Adhesive Capsulitis, is a commonly occurring shoulder condition which typically presents with very painful range of motion or movement of the shoulder both when a person moves their arm (as in active range of motion or AROM) but can also be presented when someone else moves their arm (which is passive range of motion or PROM). 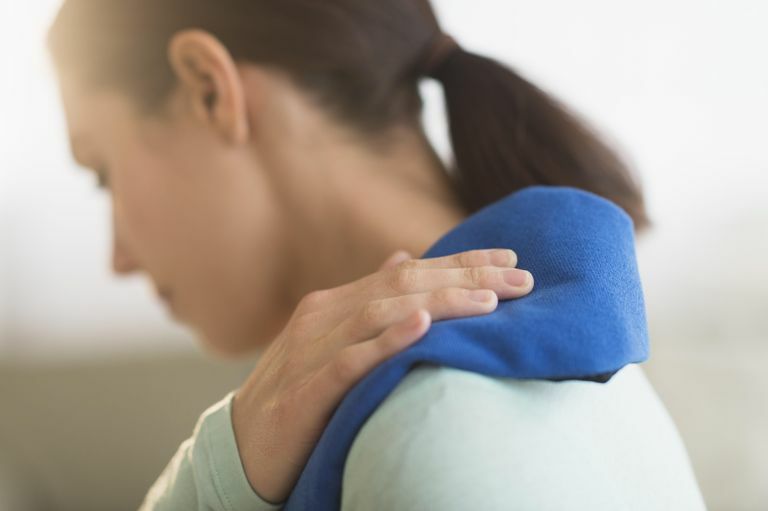 This typically happens as a result of an inflammation response in the shoulder joint that progresses to the point where the tissue that makes up the shoulder joint becomes stuck or ‘frozen’. Usually, the person will demonstrate a loss of motion in all of the ways a shoulder can move but the greatest limitations will occur in external rotation-abbreviated as ER-(imagine holding your arm at your side, your elbow is bent to 90 degrees and you are going to open a sliding glass door away from your body), but in a lot of people the pain and loss of motion will be so great that they will often times have to bring their head down to their hands in order to wash their hair. Sometimes, people will demonstrate a loss in strength, certainly when their shoulder is in a painful position but typically their strength is pretty good when their shoulder is not hurting them. I previously had seen a patient who had come in for her initial evaluation with a diagnosis of frozen shoulder after seeing her primary care physician. However, I started talking to her she mentioned that she would have end range pain when she reached overhead intermittently, not all the time as expected. As we talked, she was able to reach right on overhead to the top of her motion. She also said that at times she would be doing something and then her arm would give out, which indicates a loss of strength. Both of which made me wonder if she had frozen shoulder. After performing her evaluation she demonstrated end range limitations in her AROM but little to no limitations in her PROM especially into ER, significant decreased strength moving her arm, and had a number of special tests that were positive which would indicate a rotator cuff tear (the rotator cuff commonly refers to 4 muscles found in the shoulder joint). We started therapy but as expected the patient did not improve as quickly as I would have expected so after about 3 sessions I asked her to see her Orthopedic Doctor. She did, he too felt that she had a tear and ordered an MRI which was positive for not one but two rotator cuff tears. In this particular case, the patient did not tell me she could not move her arm nor did she demonstrate the range of motion I had expected to see which was the first indication I had that she may not have frozen shoulder. From there, I was able to connect the dots from her complaints to the limitations she had and then was able to prove those limitations might be more consistent with a tear through the detailed evaluation. If anything is wrong with your shoulder, it is always best to get it looked at by your MD or Physical Therapist first before assuming that you can treat yourself. I hope this case study helped shed some light on frozen shoulders and rotator cuff tears for you. Remember, everyone is different so just because this case study went this way does not mean that you will as well if you are experiencing the same pain. I am hoping though that this could point you in the right direction for when you do talk to your healthcare professional.